I recently completed a large commission for DC Comics Licensing, eleven logos related to Superman. Last I’ve heard, they haven’t decided where or how to use them yet, but I wanted to share some of what I did. For the first time in a long time I was asked to pencil and ink the logos, based on rough designs by Jeff Granito which DC sent me. Usually, even when I start with a hand-drawn design, I pencil lightly, then ink with markers. This time I had to tightly pencil, scan and send in the pencils for approval, then make any changes and ink the designs. It was a lot of work, and hit me at a busy time, but somehow I just managed to finish them all by the deadline. 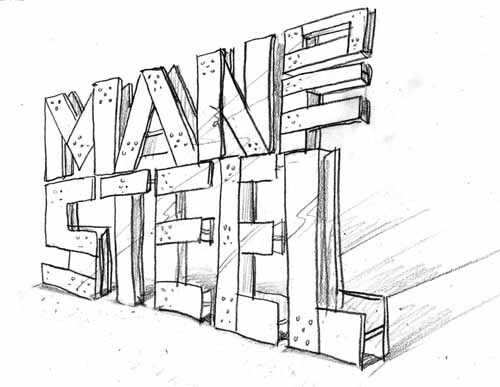 This and all logos ©DC Comics, Inc. This was approved as shown (I added the nuts and bolts as requested), and inked. Wish I could show the inks, but I don’t think I can get away with that. I probably shouldn’t even be showing the pencils, but I can’t resist the opportunity to show off a little. You won’t tell, will you? 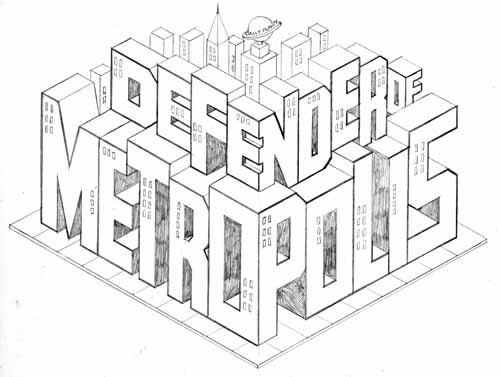 Here are more pencilled logos. For this one I had to remove the pointed tower on one building. There are more, but those are the ones I like best, and you get the idea. Hope they’re used at some point, it’d be cool to see one of these on a tee-shirt someday. Meanwhile, it’s nice to know I can still wield the old pencil. 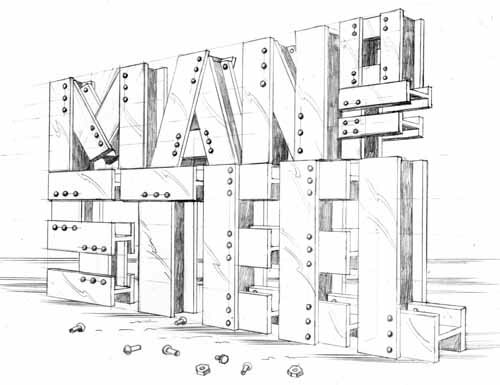 This entry was posted in Logo Studies on November 10, 2007 by Todd. 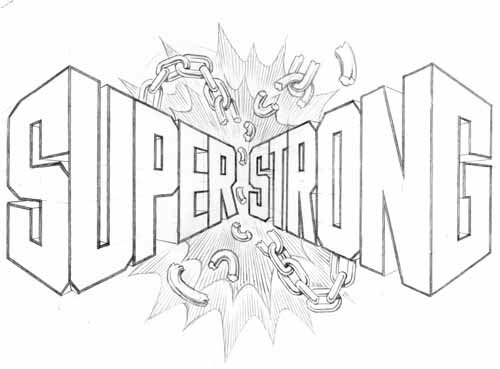 Love the new logos, especially ‘Last Son’ and ‘Super Strong’, which seem to me a good use of the 8.5 x 3 or 4 or so area restricted for title in many comics. 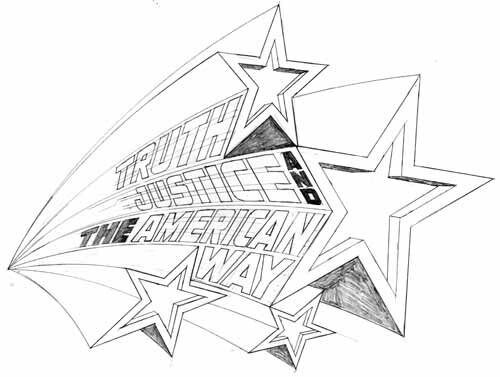 My favorite of the above, though, is the ‘Truth, Justice..’, and that brings me to a question: How do layouts take advantage of a logo that can more easily be bounded by a square than a rectangle? I’m reminded of the Rian Hughes bubble-style X-Men logo design that you showed earlier, where the logo is beautifully subservient to the actual story that the artwork is telling, but still present on the page. 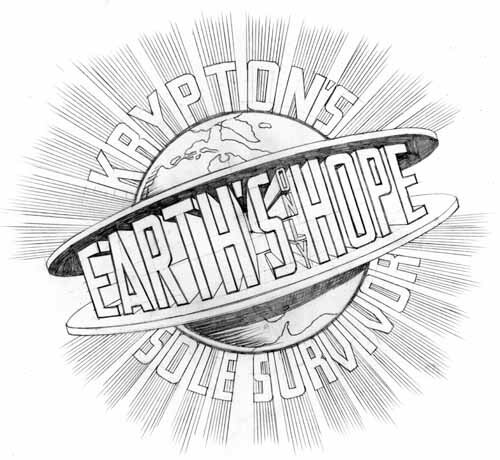 The ‘Earth’s Hope’ logo design above seems like it would work in a similar manner, actually. Are shops willing to use logos in this way, or do they still want them to dominate the top of the cover? Sorry for the long-winded question, but I wasn’t sure of a better way to ask it. Shawn, your question is a tricky one, because the answer is “it depends.” First, the logos shown here weren’t meant for comics covers, but when a logo is designed in a square format, as they sometimes are, it’s best to have the cover artist involved in the layout so he knows what space to leave for the logo and works around it. These days, with fewer sales made on newsstands than ever, having a logo dominate the top third of a cover isn’t as important as it used to be, but it’s still a good idea. WATCHMEN is an early example of one that went a completely different route and was still successful, with the logo running down the left side. Today logos can even be at the bottom sometimes and still work, especially on trade paperbacks or hardcover collections. Those are GREAT! I can’t wait to hear where they’re used! I agree! These are amazing, vivacious–they remind me so much of the great stuff I saw growing up. 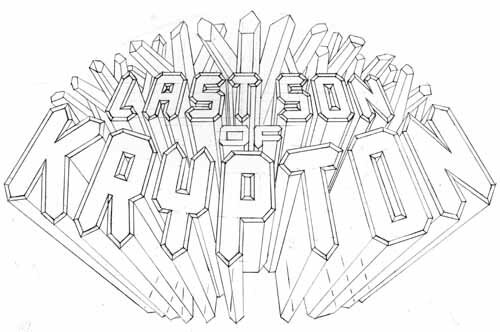 I LOVE “Earth’s Only Hope” and “Last Son of Krypton” (i.e., the Return of Amethyst!). … it’d be cool to see one of these on a tee-shirt someday. You can brag that people buy your logos not only for the art but for the writing as well. As far as I know these logos were never used, sadly. Not sure what you mean about the writing, I didn’t create any of the text on these, they’re all long-time sayings and mottos associated with the characters.